After a failed veto override vote, the Lake Forest Park City Council took action Thursday night to adopt a 1 percent regular property tax increase at a special City Council meeting. The meeting was called to address a veto Tuesday by Mayor Mary Jane Goss of an ordinance adopted the previous evening that would have increased the 2013 regular property tax levy by an additional 1 percent over the amount proposed in the Mayor’s budget. The budget for 2013-2014 submitted by Mayor Goss included a 1 percent increase or $28,195 in the City’s regular property tax levy. The Council, on a 4-3 vote, instead adopted a property tax levy ordinance that increased the levy by just over 2 percent or $58,312: the maximum allowed the City under state law without a vote of the people. This additional amount of the levy was available to the City because the previous two years it had not taken the full amount of property tax increase allowed. This additional amount is commonly known as “banked” property tax capacity. Thursday night, prior to the vote to adopt the 1 percent increase, the Council took a vote on the veto override, which failed with only two votes in favor. Five “yes” votes would have been required to overcome the veto. The override vote failed with Deputy Mayor Catherine Stanford and Council Budget Committee Chair voting to support the override, and Council members Bob Lee, Tom French, Jeff Johnson and John Wright voting in opposition to the measure. Deputy Mayor Stanford joined the meeting telephonically. Council member Don Fiene was not in attendance at the meeting. Council members Lee and Fiene had voted in support of the banked capacity ordinance previously. Following the failed override vote, the Council voted to approve the 1 percent regular levy increase as was originally proposed by Mayor Goss. The vote on the 1 percent ordinance was 5 to 1, with Councilmember French voting in opposition, and Councilmember Fiene absent. Damian McGinty, star of Glee, The Glee Project, and Celtic Thunder, will be in Shoreline for an exclusive, intimate performance on Thursday, December 6. The popular young Irish singer/actor will be in the area promoting his new self-titled EP. While he is here he will be doing a short concert and meet-and-greet. A very limited number of tickets are available. Damian's EP is available for pre-order through iTunes. The EP will be released on 12/12/12. Governor Chris Gregoire has directed that flags at all Washington State agency facilities be lowered to half-staff on Friday, December 7 for National Pearl Harbor Remembrance Day. Flags can go back to full-staff at the end of the day. State Sens. Maralyn Chase and David Frockt will have new leadership posts when the Legislature convenes in January. Senate Democrats have nominated Frockt to be Senate Democratic floor leader, the third ranking post in the Democratic leadership. Senate Democrats announced their elected leaders and committee assignments Tuesday. The Senate Democratic caucus also nominated Chase to be chairwoman of the Senate’s new Workforce Development Committee. Democrats have nominated Frockt to be co-chairman of a new select committee on education finance and results, charged with finding ways to meet the court-ordered requirement to provide adequate financial support for public schools. Senate Republicans will select the other co-chair. The committee will continue the work of a legislative task force looking for ways to comply with the state Supreme Court ruling in the McCleary case. Frockt will retain his position on the Senate Health Care Committee. Chase will lead the five-member Workforce Development Committee, assigned to focus on job training and creation with the goal of matching Washingtonians with family-wage jobs. Chase has a record in workforce development, having served on the Seattle-King County Workforce Development Board for many years. She also ran a job-training program for disabled and disadvantaged adults. In addition to her new assignment, Chase was also recommended to serve as vice chair of the newly named Agriculture, Trade & Economic Development Committee and to also serve on the Environment & Growth Management Committee. Chase represents the 32nd Legislative District, including Shoreline, part of northwest Seattle, south Edmonds, Woodway and nearby unincorporated areas of southwest Snohomish County, Lynnwood and part of Mountlake Terrace. Frockt represents the 46th District, including Lake Forest Park, Kenmore and northeast Seattle. On November 26, the City Council unanimously adopted the City’s 2013 budget. The 2013 budget is balanced at $67 million and allocates resources to maintain service levels desired by Shoreline’s residents. “I am very proud of the fact that in spite of the tough economic times and continued decline in City revenues, we are still able to maintain the services our residents have come to expect from the City,” stated Mayor Keith McGlashan. The only significant increase in the 2013 Adopted Budget comes in the area of capital spending. This year the City was able to secure $10.9 million in additional grant funding to complete the final section of the Aurora Corridor Project from N 192nd to N 205th Streets. After more than ten years of planning and construction, the end is in sight. Construction will begin in early 2013 and be completed by the end of 2014. The operating budget, which is budgeted at $36.7 million, is expected to increase by 2% ($700,000) over the 2012 budget, which is below the rate of inflation. The 2013 Budget reduces the City’s full-time equivalent (FTE) employees by 2.725, which brings the City’s staffing back to 2008 levels for a total of 132.2 FTEs. The 2013 surface water utility fees will be increased by 3.0% resulting in the annual single family residential rate increasing from the current level of $133.46 to $137.46. In 2011, the City Council updated the Surface Water Master Plan, which includes the operational and capital needs for the utility for twenty years. The plan included a fee structure to support both the operational and capital needs of the utility. The Surface Water Utility is responsible for maintaining and improving the quality of streams, lakes and constructed drainage facilities in Shoreline. In 2013 there will be a temporary reduction in property tax collections related to the 2006 General Obligation Park Bonds, as a result of previous year’s tax collections being slightly greater than originally projected. The City estimates that the excess levy will go from $0.27 per $1,000 AV in 2012 to about $.255 per $1,000 in 2013, resulting in about a $4-$5 decrease in property taxes (based on an assessed value home of $276,000). As we all know, the past few years have been very difficult economically. Municipal governments have not been spared the impacts of the worst recession since the Great Depression. Declining tax revenues and property values have created a “perfect storm” that has hit the City hard. The City depends on taxes and other revenues to balance its budget and provide services. When risky mortgages collapsed the mortgage market, home repossessions increased dramatically. This decreased property values. Property values control the amount of property taxes cities receive. In 2013, Shoreline’s property tax revenues will decline by 6.4% (about $650,000) even though Shoreline voters approved a six-year levy in 2010 that allowed property taxes to increase at the rate of inflation. This means that a homeowner of an average valued home of $276,000 may pay nearly $30 less in property tax in 2013 to the City of Shoreline than they paid in 2012. Added to the decline in property values is the continuing problem associated with unemployment. Higher unemployment and the uncertainty it creates has meant people are spending less, which means lower sales tax revenues. While employment has started to recover and sales tax revenues are beginning to rise, sales tax collections are still near 2006 levels. In spite of these challenges, the City continues to provide the quality services our community has come to expect and demand. It also continues to maintain a Standard & Poor’s AA+ bond rating and financial management assessment rating of “strong,” maintain reserve levels to address unanticipated needs and comply with the City’s adopted financial policies. In addition, the City continues to produce clean audits and to be recognized by the Government Finance Officers Association for the Distinguished Budget Award. For more information about Shoreline’s budget visit the City’s website or contact Administrative Services Director Robert Hartwig at 206-801-2301. The Shoreline Community College Women's Basketball Team took advantage of an undermanned SPCCC team and blew out the Clippers on their home court in Olympia, WA. SCC was led by Chelsea Padgett with 15 points and Hannah Stanger who scored 14 points and had 10 rebounds with 5 steals. Ashley Savusa scored 10 points and Emily Wilbur added 11 rebounds for SCC. The Dolphins had 26 steals in the game as SPCC only played 6 players in the game and the SCC bench added 44 points to the game total. The SCC squad travels to Portland CC on Saturday to face the Panthers again at 4:00pm. SCC defeated PCC 68-58 this past Saturday. The Class 3A Shorewood girls basketball team takes a 1-1 record against 4A teams into a Wednesday, Dec. 5, home game against 2A Sultan. The Thunderbirds and Sultan meet at 7:15pm Wednesday at Shorewood High School, with junior varsity teams from the two schools playing at 5:40pm. The Sultan varsity has a 0-2 record after losses to 2A Sedro Wooley and 3A Mountlake Terrace. The T-birds opened their season with a 71-42 home loss to Lake Stevens Wednesday, Nov. 28, and a 68-31 victory at Mariner Thursday, Dec. 29. In the loss to Lake Stevens, Shorewood trailed 25-17 after the first quarter, 37-20 at halftime and 57-24 after the third quarter before the Vikings cruised to the 71-42 victory. Masha Shtikel led the T-birds with 22 points. In Shorewood's win over Mariner, the Thunderbirds led 22-11 after the first quarter, 37-23 at halftime and 54-28 after three quarters, before extending the final score to 68-31. Shtikel led the T-birds with 25 points, followed by Kassie Rasmussen with 13 and Lily Gustafson with 10. Cascade K-8, Shoreline District's only K-8 Community School, will host its annual Winterfest this Saturday to satisfy local shoppers and community members who want to absorb some festive vibes while perusing offerings from local artists, artisans, cooks and the school community itself. The event is held in the Meridian Park/Cascade K-8 Cafeteria at N 175th and Meridian Ave N in Shoreline, from 10am to 4pm. Billed as a Holiday Gift and Craft Extravaganza, Winterfest brings together experienced artists and new crafters eager to present tantalizing items for Shoreline area shoppers. A newly formed collective, W.H.A.M. 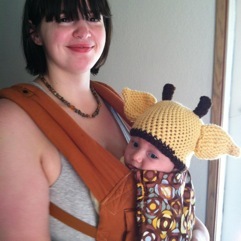 (Working Hard Artsy Mamas), will offer adorable, stylized knitted baby hats and homemade food gifts. Another vendor, Cascade parent, Laurie Blau-Marshall, has been a working artist for 22 years and has sold her paintings, mixed media art and jewelry at boutiques and galleries downtown. Blau-Marshall reported, "I like selling at Winterfest not only because it contributes to my daughter's school, but also because community based events like this have an intimate feel and I enjoy seeing who buys my art rather than having the middle man of the store or gallery." Some of other anticipated vendors include: Michelle Templeton Art (paintings and woodblocks), Sue's Sewing (American Girl doll-sized clothing), Siren Salvage (hand-wrought jewelry, vintage/quirky home decor, repurposed pieces), One Robin Road (Mason jar travel mugs), The Sweet Phoenix (healing salts, gluten-free food, cards, candy), Sew What?! (Ugly dolls, tote bags), SPLASH lotion (Cascade PTSA) as well as more jewelry, hand knits, embroidery, wrapping paper, memory boxes and MORE. In addition to gifts for sale, there will also be a Bake Sale, a Coffee Corner for community gathering and a school info table, providing information about Cascade K-8, including details about the school's unique middle school program called Journey. Cascade's Jazz Band will have its very first performance of the year at 2:30pm as part of the event. Jazz Band leader, David George, promises that the band has "enthusiasm galore" and though the school is small, there are a variety of instruments in the band this year, including flute and violin. Cascade's extra-curricular multi-age music class, studying folk songs and dance, will also perform at 2pm. Artfest, a celebration of the school's art program, will be part of the celebration, too. A gallery of student art will share the space with vendors. Winterfest offers fun for people of all ages. Admission is free. 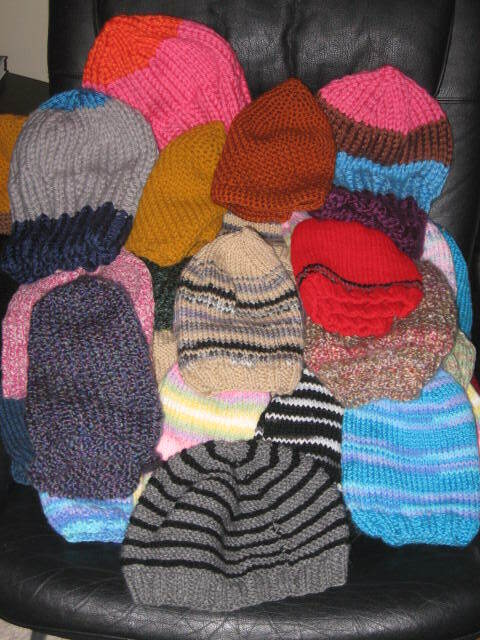 What a wonderful surprise when I got a call from Carolyn Wurdeman, Executive Assistant at the City of Shoreline, to tell me that the bin with over 100 hats that I emptied a week ago and delivered to Youth Care is half full again. 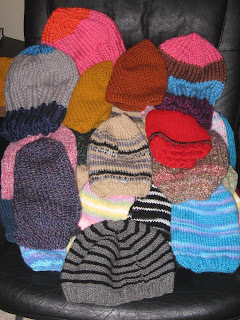 I recently read about Tent City setting up at the Calvin Presbyterian Church at 3rd NW and NW 185th and delivered over 60 hats to them tonight and told them they were hand knitted for them by the folks from Shoreline. Thank you all. If you keep knitting, I’ll keep finding a needy place for them. Dog Sees God will turn childhood on its head and take you through all the happiness and pain that is the institution of high school. Casting is underway for Norway's most popular reality TV show. While that may not sound like a big deal, someone from Seattle has been on the show every year so far. The premise of the show is to connect people of Norwegian descent to their homeland. The Great Norway Adventure (Alt for Norge) is a competition, but primarily a chance for third and fourth generation Norwegian-Americans to experience Norway. The grand prize is a meeting with long-lost cousins in Norway. Each of the show's three seasons has featured one Seattle cast member. Casting is now underway for the fourth season. You can find information on how to apply here. If you are accepted for any part of the casting process, write us a story about your experiences. Write us for more information. Local voters participated in the Nov. 6 general election at a higher rate than the King County rate of 82.41 percent and the statewide rate of 81.25 percent. The City of Shoreline had a final turnout of 82.52 percent. Shoreline and the north part of Lake Forest Park that had two Congressional races on thei ballots because they were part of the old 1st Congressional District as well as the new 7th District had a turnout of 83.58 percent. The 46th Legislative District -- Lake Forest Park, Kenmore and northeast Seattle -- had a turnout of 85.64 percent. The highest turnout in King County was 86.71 percent in the City of Normandy Park. The County with the highest turnout in the State was San Juan County with 89.39 percent. The lowest was Yakima County with 73.67 percent. 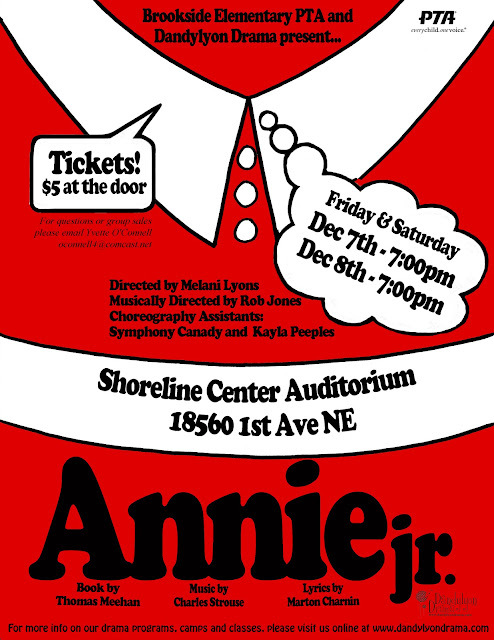 Brookside Elementary and Dandylyon Drama present Annie, Jr. The Brookside Elementary PTA and Dandylyon Drama are presenting the musical “Annie Jr.” on Friday, December 7th, and Saturday, December 8th at 7:00pm at the Shoreline Center Auditorium. Come experience the power of positive thinking as a young orphan follows her dream. The Shoreline Center Auditorium is located at 18560 1st Ave. NE. Tickets are $5 at the door. December will be a busy month full of winter concerts for Shoreline Schools student musicians. Dec. 1: The Shorewood High School Aeolian Choir will join the vocal duo “Sephira” during a concert sponsored by the Shoreline-Lake Forest Park Arts Council at 7 p.m. in the Shoreline Center auditorium. Tickets are available from brown paper tickets or at the door. Dec. 4: Briarcrest K-2 students will present “Singing, Dancing, Playing Through Europe” at 7:30 p.m. in the Shoreline Center auditorium. Dec. 4: The Einstein and Syre choirs will present a concert at 7:30 p.m., prior to the Holiday Ships arrival with the Shorewood High School choir aboard at Richmond Beach Saltwater Park. Dec. 10: Sixth grade bands from Parkwood, Ridgecrest and Highland Terrace will perform in a holiday concert at 8 p.m. at Third Place Commons in Lake Forest Park. Dec. 11: Shorewood choir concert, 7:30 p.m. in the Shorewood auditorium. Dec. 11: Sixth grade orchestras from Briarcrest, Brookside, Highland Terrace, Parkwood and Ridgecrest will perform in a holiday concert at 8 p.m. at Third Place Commons. Dec. 12: The Einstein and Shorewood orchestras will perform at 7:30 p.m. at the Shoreline Center auditorium. Dec. 13: The Shorecrest 9th grade band and concert orchestra will perform at 7:30 p.m. in the first school event in the renovated Shorecrest theater. Dec. 17: The Einstein and Kellogg jazz bands will perform at 7 p.m. in the Einstein gym. Dec. 17: The Shorecrest wind ensemble, choir and symphony orchestra will perform at 7:30 p.m. in the Shorecrest theater. Dec. 18: The Shorecrest wind ensemble, choir and symphony orchestra will perform at 7:30 p.m. in the Shorecrest theater. Shoreline Water District, a special purpose district, is pleased to announce the newest member of our management team: Barbara Shosten, CPA. Barb will serve as the District’s new Finance Manager, replacing Mary O’Day who relocated to the east coast to be with her family. One of the many reasons we chose to hire Barb was her broad range of experience in utility finance management, having served most recently as the Director of Finance at Public Utility District No. 1 of Whatcom County. Some of her other municipal experience includes serving as the Finance Manager at both Highline Water District and the City of Bellevue’s Utilities Department. Another reason we felt she was a perfect fit was her proven track record of proactive financial management. While at the City of Bellevue, Barb helped establish policies and practices that helped build financial reserves, enabling the City to be prepared in the event of an infrastructure failure—an approach not always taken by City-managed utilities. Barb also offered first-hand experience with Shoreline Water District financials. While serving as a Project Manager for FCS Group (a financial management consulting firm), Barb led a project team in developing Shoreline Water District’s long term financial strategy in 2005, and performing the financial review for our evaluation of the SPU facilities in the City of Shoreline. Barb will continue to uphold Shoreline Water District’s philosophy of long-term conservative fiscal planning that has made our district so successful throughout our 80+ year history. We invite you to stop by and say hello! District offices are located in North City at 1519 NE 177th Street, Shoreline, WA 98155. Governor-elect Jay Inslee named Renton schools superintendent Mary Alice Heuschel his chief of staff Thursday morning. 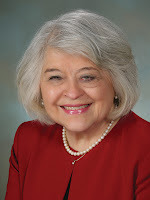 Heuschel, who has led the Renton district for seven years, served in the same position at the Office of Superintendent of Public Instruction. Governor-elect Inslee recently named his education transition team: Brad Smith, Microsoft vice president and general counsel (and Roundtable board member); Mary Alice Hueschel (see above for her new staff position), and Elson Floyd, president of Washington State University. The Joint Task Force on Education Funding met last week to continue its work in finding more money to pay for Washington's K-12 public education system. The task force must first determine how much the state's basic education system will cost, and identify what they deem a politically feasible and dependable funding source (i.e., an increase in property taxes or extended expiring taxes). Governor-elect Jay Inslee said during his campaign for Washington's top job that he would not support a raise in property taxes. Task force chair and Washington Roundtable board member Jeff Vincent presented three scenarios at a Nov. 20 meeting, all of which called for more efficiencies, no new state education programs and no major cuts, but included an increase in certain taxes. The task force has until Dec. 31 to recommend options, including one preferred alternative, to the state Legislature. Sounder riders will be able to park in 53 additional temporary spaces until 103 total spaces become available May 1. Sound Transit has signed a lease agreement with Salish Crossing, LLC, to provide 53 temporary parking spaces next to the Edmonds Sounder Station starting Monday morning. The additional parking at 190 Sunset Avenue South will supplement 156 spaces already provided at the station while Salish Crossing constructs a 103-space surface lot under a separate, five-year lease agreement. The temporary parking spaces will be available for commuter use until the larger lot opens May 1. The extra parking comes at a time when ridership on the north line is growing. Sounder ridership from Edmonds to Everett grew 18 percent in the third quarter this year compared to the same period last year. Over the past year, the NUHSA focus on making connections between and among agencies in NKC has been successful in raising the awareness human service agencies have of one another and in deepening our understanding of how volunteers and agencies view connections in the north end. In partnership with United Way King County (UWKC) Volunteer Impact Partnership (VIP), NUHSA will concentrate the NKC focus of activity designed to build the skills agencies need to 1) support volunteers participating in service delivery and 2) support agencies continuing the work of building a human services community through volunteer connections. Primary activities will include the continuation of the successful series of conversations among agencies and volunteers, establishing NKC focused volunteer recruitment/match resource and working with the UWKC VIP 360 to strengthen agency capacity spotlight this focus. The goal of NUHSA’s North King Volunteer Network (NKVN) Volunteer Outreach Coordinator (VOC) is to increase the volunteer engagement capacity of nonprofit organizations servicing low-income residents in NKC area. The NKVN project will address the mismatch between the capacity of our individual organizations in NKC communities and the collective capacity of these organizations, their staff and volunteers. The Shorewood boys' basketball team plays host to Mariner Friday after opening its season with a 73-48 home victory over Ingraham of Seattle Tuesday. Mariner of the Western Conference 4A South brings a 2-0 record into the game with Shorewood of the Wesco 3A South at 7:15 p.m. Friday at Shorewood High School, with junior varsity teams from the two schools meeting at 5:40 and "C" teams playing at 3:45. The Shorewood junior varsity also opened its season with a 73-48 victory over Ingraham Tuesday. The Thunderbird "C" team opened its season by defeating Eastside Catholic 48-38 in a Tuesday home game. Shorewood Scoring--Anxhelos Pere 0, Taylor Freeman 21, Brandon Mar 0, Zane Hopen 13, Karson Gronvold 6, Ben Andrews 9, Zach Rattray 6, Josh Hawkinson 12, Sam Boone 2, Yonathan Michael 2, Max Hundhausen 2. Shorewood Christian at Darrington, 6 p.m.
Overlake at Shoreline Christian, 6 p.m.
King's at Seattle Academy, 7 p.m.
Shoreline Christian at Northwest, 1:30 p.m.
Shoreline Christian at Tulalip Heritage, 7 p.m.
Shorewood at Lakes, 7 p.m. at Lakes H.S. Shoreline Christian at University Prep. King's at South Whidbey, 6:45 p.m.
King's at Cedar Park Christian (Bothell), 7 p.m.
Sultan at King's, 7 p.m.
Shoreline Christian at Crosspoint Academy, 7:30 p.m.
Shoreline Christian at Grace Academy, 7:30 p.m.
King's at Archbishop Murphy, 7 p.m.
Shoreline Christian at Seattle Lutheran, 4 p.m.
Shorecrest at Cedarcrest, 7 p.m.
Shoreline Christian at Lummi, 7:30 p.m. Granite Falls at King's, 7 p.m.
Mount Vernon Christian at Shoreline Christian, 7:30 p.m.
Shorewood at Burlington-Edison, 6 p.m.
Shorewood at Archbishop Murphy H.S. Holiday Tournament. Shorewood at Bothell Holiday Tournament. Cascade at Bellingham, 7:15 at Bellingham H.S. Chief Leschi at Shoreline Christian, 1:30 p.m.
King's at Lakewood, 7 p.m.
King's at Cedarcrest, 7 p.m.
Shoreline Christian at Cedar Park Christian-MT, 7:30 p.m.
Coupeville at King's, 7 p.m.
Highland Christian at Shoreline Christian, 7:30 p.m.
South Whidbey at King's, 7 p.m. Concrete at Shoreline Christian, 7:30 p.m.
King's at Sultan, 7 p.m.
Orcas Island at Shoreline Christian, 7:30 p.m.
Archbishop Murphy at King's, 7 p.m.
Shoreline Christian at Darrington, 7:30 p.m.
Shorewood at Shorecrest, 7 p.m.
King's at Granite Falls, 5:15 p.m.
La Conner at Shoreline Christian, 7:30 p.m.
Cedar Park Christian-MT at Shoreline Christian, 7:30 p.m.
Lakewood at King's, 7 p.m.
Shoreline Christian at Mount Vernon Christian, 7:30 p.m.
Cedarcrest at King's, 7 p.m.
Shorewood at Glacier Peak, 7:15 p.m.
Mountlake Terrace at Shorecrest, 7:15 p.m.
Shoreline Christian at Friday Harbor, 4 p.m.
Shorecrest at Meadowdale, 7:15 p.m.
Stanwood at Shorewood, 7:15 p.m.
King's at Coupeville, 7 p.m. The Shorecrest boys’ basketball team plays host to Kamiak Friday after a 72-38 home victory over Cascade Tuesday. Shorecrest of the Western Conference 3A South and Kamiak of the Wesco 4A South meet at 7:15pm Friday at Shorecrest High School. This informal gathering will allow you to share your ideas, review the City’s Wildlife Management Plan and better understand how you can live more comfortably with urban wildlife. In an effort to maintain a healthy ecosystem the City of Lake Forest Park has a wildlife program that provides the framework for human/wildlife coexistence. 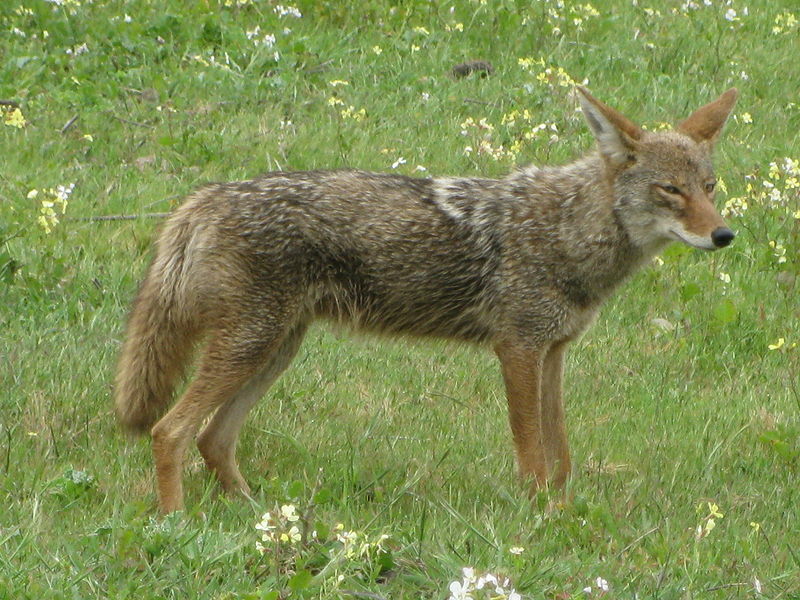 The program includes a regulatory element and a wildlife hazing program that were developed using the City Council accepted wildlife management plan. Lake Forest Park is home to a wide variety of wildlife that all play an important role in the ecosystem. The links below provide information about coexisting with these common species. To learn more about Lake Forest Park wildlife visit the Friends of Lake Forest Park Wildlife blog that is managed by informed residents. While it would be very difficult to write a generic article about teen depression because there are too many factors that impact children's development, including minority status (ethnic, sexual, religious, cultural, immigration, socio-economic, etc. ), family history, culture, religion, values, parenting styles, available resources, etc., it is a proven fact that most of us experience some form of depression throughout our lifespan. The way we work through that depression can sometimes result in greater resiliency, self-understanding and compassion for ourselves and others, as long as we are able to make a healthy connection with others in some way. Adolescents are particularly vulnerable to the effects of depression for many reasons, precisely because the ‘making healthy connection’ component of this piece of recovery is something that most teenagers living in the United States right now struggle with on a fairly regular basis. There are many reasons for this. Recent research findings on adolescent brain development and socio-cultural factors help us appreciate that adolescence roughly begins by age 10 and lasts through age 25. Taking this knowledge into account is important in understanding teen depression because it can help us to recognize that teenage anxiety is not just about moving successfully through high school and developing into responsible adults. It also includes grieving and making sense of multiple developmental transitions during a time in which a search for meaning and life purpose in the world has never before been more difficult to create. For example, on some level, many teens feel a sense of loss at leaving elementary school, middle school, high school and college (if they are privileged enough to attend college). They also experience great uncertainty about their future. Many teens don’t seem to experience anxiety as much as they experience a continuation of unresolved grief that preceded adolescence and becomes drastically worse during ages 10-25 because they weren’t able to effectively recover what was lost or never received in childhood. When unresolved, this grief can turn into depression. What allows most teens to successfully move through these periods of grief and actually find moments of joy and peace so that they can create meaningful and responsible lives, is a secure relationship with at least one trusted adult that teen can confide in and “talk about life” with. This mentoring relationship is different from the relationships formed with peers in that it needs to be with an emotionally stronger and wiser person in order to promote and model security and safety in relationships. Without this model for responsible and safe relationships, teens are frequently unsuccessful at reaching important developmental milestones that allow them to move through adolescence, feeling competent that they can create and maintain meaningful and safe relationships with others. We are all biologically wired to attach to others. Our intense need to make deep connections with others is a strong motivator for teens to replace adult attachment figures with their peers, when they perceive no available or interested and understanding adults to attach to. Traditionally, parents in American culture have been encouraged to give their teens space in the interest of promoting their independence and development into young adults. However, it is now generally becoming more accepted that adolescents still need a secure base to support their exploration and discovery, in a similar way to toddlers. Without having at least one meaningful relationship with a secure and dependable adult during adolescence, teens are at great risk for experiencing isolation, loneliness and despair as a result of feeling rejected, abandoned and sometimes incapable of connecting with others. Many teens move through adolescence appearing anything but lonely, when they often in fact feel deeply misunderstood, disconnected and rejected by those they spend the most time with. These teens may appear popular and identify their friends as the most important people in their lives. They may also appear socially awkward; the key factor in identifying adolescent risk factors for depression is who an adolescent identifies as their most important relationship(s). When teens only identify peers as their most trusting relationships or only themselves, it should be a red flag that they are at risk for depression. Teens who have meaningful and secure relationships with adults can and do still get depressed, but the presence of a safe, mentoring relationship increases their security and overall resiliency so they can move through adolescence with a sense of integrity and control over their lives. How can we help? Seek to make attachment with adolescents, regardless of their apparent intent to keep peers as their primary attachment figures. Teens need caring adults to attach to, just as young children do. Be respectful of their desire and need to connect with their peers, but don’t allow them to completely push you away; often when teens appear to alienate their parents and teachers, it’s a strategy for developing independence based only on trial and error. Ironically, although the process of separating from parents and becoming more independent is an imperative part of growing up, if adults allow teens to completely disconnect (as teens often give the impression they would like to do), teens usually end up feeling isolated and misunderstood. They need attachment figures to give them some space, but they also need them to stay close and unconditionally send the message ‘I’ll watch while you explore AND I’ll be here for you when you return’. Any adult can increase an adolescent’s protective factors and overall resiliency by reaching out and making a connection: neighbors, relatives, teachers, family friends, daycare staff, youth workers, church and civic leaders, psychotherapists, counselors (in addition to guardians and parents) are all potential mentoring relationships that can provide protective factors to decrease the potential for adolescent depression. Conversations are the building blocks within a family to share ideas, build trust, problem-solve, gather information, and share our stories. What are some of the important talks kids and parents can have to continue growing in healthy directions and promote understanding? What do children hope their parents will speak to them about? How do parents encourage their children as they grow and develop to support their skills in decision-making and navigate friendships and challenges? Come to prepare or to enhance your skills for parenting, and for relating to and guiding adolescents. Speaker: Julie is a pediatric nurse, writer and educator. She is a well-respected and popular speaker at schools and community groups, and co-founder of Great Conversations, an organization focused on health education for families. Co-author of “Will Puberty Last My Whole Life?” published March 2012. Workshop is open to anyone. Free, but donations are welcome. For more information contact Kay Broweleit at 206-363-3500. The Shorewood High School marching band and flag team will participate in the Pearl Harbor Memorial Parade on Friday, Dec. 7 in Honolulu. This year’s parade will commemorate the 50th anniversary of the USS Arizona Memorial. The memorial was dedicated in 1962 to honor those who died in the attack on Pearl Harbor. 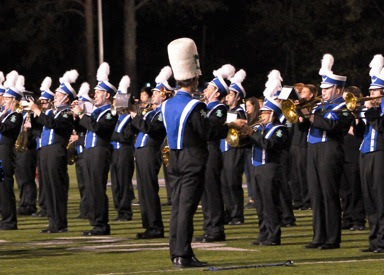 Shorewood was invited to perform in the parade based on its excellent musical reputation, said band director Dave Johnson, who will lead the trip along with flag team coach Kim Parker. The school also sent the parade organizers a tape of one of its performances. “This is a big step for the program,” Johnson said. 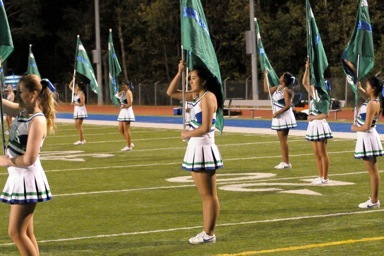 Shorewood’s contingent of 110 students will march in the twilight parade in Waikiki on Friday evening, Dec. 7. They will leave for Hawaii on Tuesday, Dec. 4. The next day the group will tour Pearl Harbor and give a tribute performance at the USS Arizona Memorial. They will also sightsee on Oahu, and visit the Dole Pineapple Plantation and Polynesian Cultural Center before returning to Shoreline on Sunday, Dec. 9. Visit the Pearl Harbor Memorial Parade website for more information. Nuncrackers: the nunsense Christmas musical, Friday, November 30 and Saturday, December 1, 7:30pm at Richmond Beach Congregational Church, corner of 15th Ave NW and Richmond Beach Rd. Tickets at the door. $10 ticket includes dessert! Join the Shoreline-Lake Forest Park Arts Council on Saturday, December 1st at 7pm as they celebrate the season with an evening of holiday music. The concert will be at the Shoreline Center Auditorium. Parking is free. 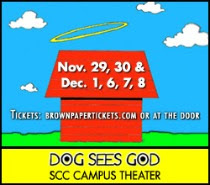 Tickets are general admission, $20 each and available at slfpac.brownpapertickets.com or call the office at 206-417-4645. $18 group pricing is available if purchasing 6 or more tickets. Tickets will also be available at the door on the night of the performance. 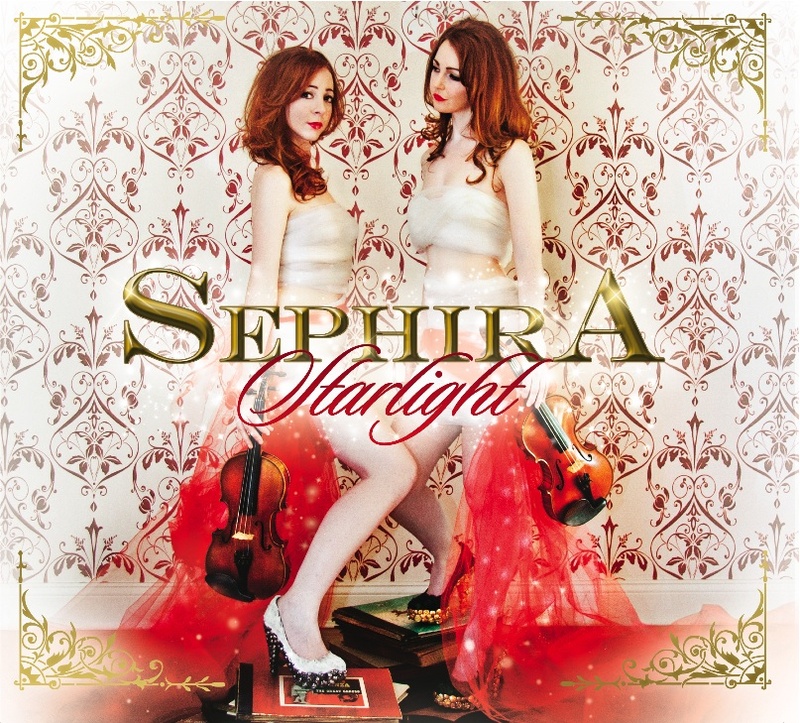 The concert will feature music from Sephira’s 2011 Starlight holiday album as well as other signature pieces and some newly released material. Many of the songs from Starlight were featured last season in the Christmas rotation on WARM 106.9, the local Seattle radio station. 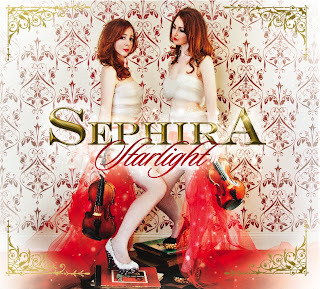 Joyce and Ruth O’Leary, together known as the Irish string-driven vocal duo Sephira, toured the United States and Canada as the fiery dancing violinists for Celtic Thunder. In 2010 they left the group to pursue their own career. Since that time they have performed in the PBS special “BEYOND CELTIC,” served as ambassadors for Tourism Ireland, and have performed throughout the world. Listen to Sephira. Take pART in your community – see a local performance! Mayor Mary Jane Goss acted late Tuesday to veto the City Property Tax Levy Ordinance passed Monday by the Lake Forest Park City Council, because it increased the City’s property tax levy by double the increase she requested in the budget and during a time when many families are struggling financially. Mayor Goss had proposed a budget for 2013-2014 that assumed a 1 percent increase in the City’s regular tax levy. The Council, on a 4-3 vote, instead adopted a property tax levy ordinance that increased the levy by just over 2 percent: the maximum allowed the City under state law without a vote of the people. This additional amount of the levy was available to the City because the previous two years it had not taken the full amount of property tax increase allowed. This additional amount is commonly known as “banked” property tax capacity. During the budget hearing at Monday’s meeting, Lake Forest Park residents spoke in almost equal numbers for and against increasing the property tax levy. About half of those who spoke urged the City Council to maintain the 2012 property tax levy amount and half urged the Council to increase the levy by the legal maximum. Mayor Goss said she believed that more was needed to be done to heal rifts in the community in the wake of a failed 2010 vote on Proposition 1, a multi-year property tax increase to fund City operations that failed with nearly 80 percent voting against the measure. Under state law and City code, the Council must reconsider the ordinance and may only override the Mayor’s veto with an affirmative vote of at least five members of the seven-member Council. Mayor Goss urged the City Council to vote on reconsideration by December 6 or at a special meeting called for this purpose. The City Council had chosen the prior two years to not increase the property tax levy. The City finance department had budgeted for approximately $2,819,000 in local property tax in 2012. The Mayor’s proposal would have generated an additional 1 percent or $28,195 in 2013 on properties in the City existing at the beginning of 2012. The Council vote Monday to appropriate the banked capacity would generate approximately $30,000 more than the Mayor’s proposal. On Friday, November 23rd due to high water flows in McAleer Creek, the roadway subsurface in the 3700 block of NE 178th Street washed away around a culvert pipe creating a sink hole. LFP City Engineer Neil Jensen is assessing the damage and is arranging for a repair. In the meantime, Public Works crews have installed a steel traffic plate over the affected area. Asphalt cold patch was used to secure the plates in place and make for a smoother transition for traffic. Traffic signage has been installed to warn motorists of the bump in the road surface. Thursday - Saturday outlook: We are going to have a series of storm fronts pushing through the region, about one front for each day for the next 3 days. We may even have some breezy conditions Thursday afternoon and again Saturday evening. It will also be very gloomy with rain off and on, however we are looking at a total of 1-1.5 inches of rain between now and Saturday. Not nearly as wet as last week. Last week's highlights: We had a lot of rain last week. Monday being the wettest causing a lot of urban flooding. We had 2.53 inches of rain total on Monday. We had 5.34 inches of rain during the entire week, which is close to the 3-year average total rainfall for the entire month of November. There was urban flooding of streets and parking lots throughout the entire area. All of the flooding was actually due to drains blocked with fallen tree leaves. Warmest and coldest days are based on average temperature of the entire day, starting at midnight. All other averages are based on the whole week, starting Saturday morning at midnight. All weather data unless otherwise noted is sourced from Carl's Shoreline Weather Station. Darrington at Shorewood Christian, 7:30 p.m.
Evergreen at King's, 7 p.m.
Overlake at Shoreline Christian, 6 p.m. at Shoreline Christian H.S. Shoreline Christian at University Prep., 7 p.m.
Democrat Jessyn Farrell believes she won an open House seat in the 46th Legislative District because of field work, a strong message and strong ties to the community. Farrell has defeated fellow Democrat Sarajane Siegfriedt for the position that retiring Democratic State Rep. Phyllis Kenny now holds. Farrell won 63 percent of the votes to 36 percent for Siegfriedt. King County finished counting votes Tuesday before certifying results. Farrell had outpolled Siegfriedt 30 percent to 22 percent in a six-candidate August primary. In other 46th District contests, appointed incumbent Democratic State Rep, Gerry Pollet defeated fellow Democrat Sylvester Cann 65 percent to 34 percent, and incumbent Democratic State Sen. David Frockt was unopposed for the last two years of the four-year term he has held since the death last year of the late Scott White. Pollet had won appointment to replace Frockt in the House last year after Frockt moved to the Senate. In the 32nd Legislative District, incumbent Democratic State Rep. Ruth Kagi defeated Republican challenger Robert Reedy 73 percent to 27 percent, and incumbent Democratic State Rep. Cindy Ryu defeated Republican challenger Randy Hayden 72 percent to 28 percent. The 32nd District includes Shoreline, part of northwest Seattle, south Edmonds, Woodway, nearby unincorporated areas of southwest Snohomish County, Lynnwood and part of Mountlake Terrace. Dru was determined, fearless, gentle, and kind. When it came to being a goalie and a soccer coach she was determined to win. When it came to learning to be a firefighter/EMT, she was fearless. When it came to teaching life skills to autistic kids, she was gentle and kind. She was especially thoughtful, regularly calling family for long chats and writing cards with original drawings inside. At 26, she had launched a life of passion and energy, with boyfriend Mat and beloved dog Kona by her side. To the sorrow of all who knew her, Dru passed away in her sleep from an undiagnosed pancreatic infection. Dru was a superior athlete, skiing and snowboarding with her family all winter. She graduated from Shorewood High School where she participated in tennis and soccer. She taught snowboarding at Mission Ridge and loved wakeboarding and swimming. While in high school she became a certified mediator and helped counselors resolve conflicts between students and parents. Even at this early age, Dru was someone who helped others. She fiercely pursued firefighting training, graduating from Everett Community College with an AA degree. From there Dru attended Central Washington University earning a Bachelor of Arts in Psychology. 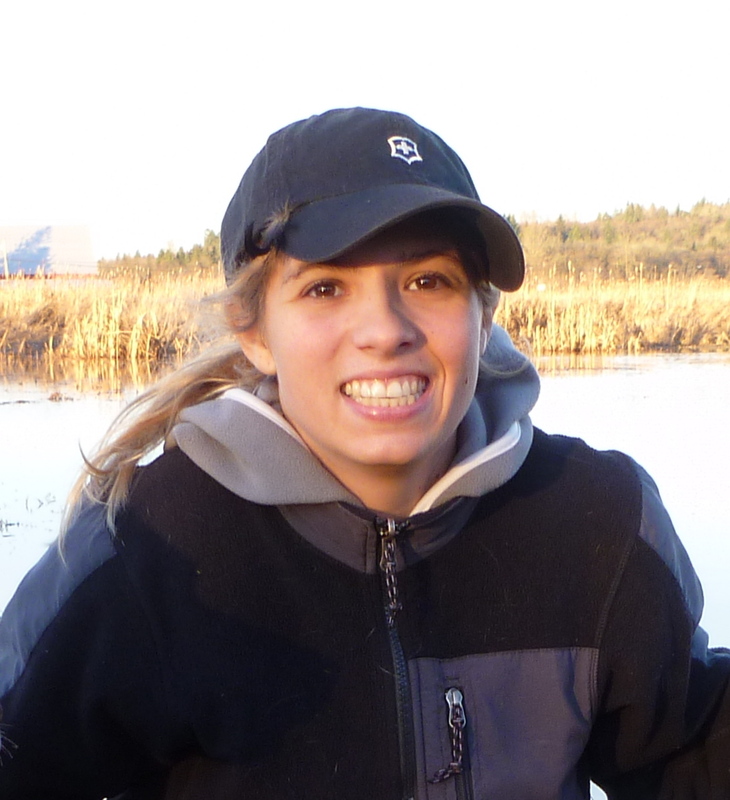 Joining the workforce, Dru found her true calling as a mentor and tutor for autistic children. She was a valued member of the team at Comprehensive Autism Center in southern California. Dru loved her job teaching kids. She was excited each day, knowing that she was making a real difference in their lives and the lives of their families. Dru was just starting graduate school to earn a master's degree to enhance her opportunities as a therapist. Dru was deeply loved by her parents Richard and Sue Brangwin, brother Mason, Mat Peery, a devoted circle of family, grandparents, aunts, uncles, cousins, and friends. A memorial service of her life will be held at the Berean Church, on Thursday November 29th at 3:00 p.m. 2345 North 185th, Shoreline. Donations in Dru's memory may be made to the Autism Center at Seattle Children's Hospital.